In May, an outstanding group of supply chain professionals converged at the AWESOME Symposium. Comprising 38 percent of the workforce at supply chain organizations worldwide, women are playing an increasingly important role in the movement and orchestration of goods around the globe. Sponsored by AWESOME (Achieving Women’s Excellence in Supply Chain Operations, Management & Education), the Symposium featured nearly 300 leaders representing more than 130 different companies and organizations. Focused on growing the number of women working in supply chain leadership roles, senior women leaders gathered together. They engaged in networking, discussions, and collaborations focused on the advancement of women in supply chain leadership. Symposium participants serve in a wide spectrum of leadership roles for organizations. These organizations themselves are also diverse. They range from manufacturing to retail, from consulting to logistics, and supply chain management to military logistics. And they wear titles like senior manager, director, vice president, and first-line manager, among others. A proud participant in this notable, annual event, Ajilon understands that while women may still be underrepresented in supply chain management roles, there are also significant opportunities out there for the taking. 1. Build out a pipeline of women leaders. Fill the pipeline with more women in entry-level positions. Develop leadership programs that support women through active consideration and sponsorship. By embracing new platforms, technologies, social networks, and communication tools, companies will have a better chance of finding talent that they’re seeking. As part of that mission, supply chain organizations should create a workplace that supports and promotes employees. There should be support in place as they move up the corporate ladder and into senior positions. In her presentation, Amy White of NIKE, Inc., said companies that want to build a pipeline of women leaders need to make it a part of all of your conversations. “Keep it top of mind,” White said. “Be intentional in connecting with your co-workers; reach out and make sure that the women have access to one another.” These connections will ensure that more women take an interest in—and follow through on—supply chain leadership opportunities. 2. Emphasize the core building blocks. We all know that Rome wasn’t built in a day. But that doesn’t mean companies can’t ramp up their programs and start recruiting and training more women leaders right now. 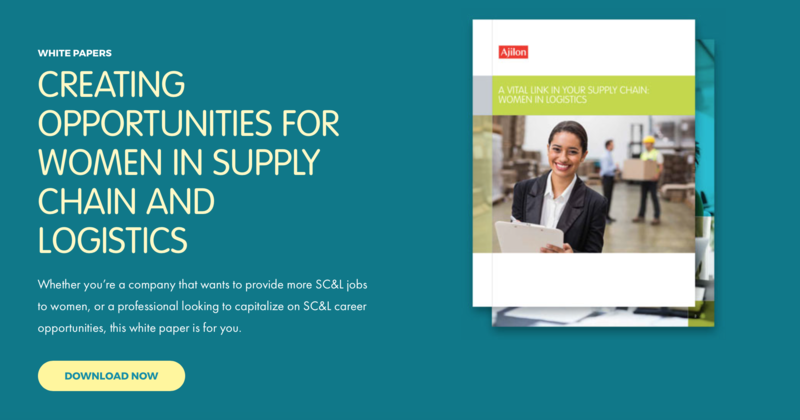 Start by considering the unique challenges that women face in the supply chain and logistics industries. Then, work to defy the age-old stereotypes and the misconceptions. How can these issues be overcome? And, how can women collaborate to break through these barriers? By addressing these building blocks, companies can lay down the foundation for a successful leadership pipeline. At the Symposium, Pat Mitchell of Pat Mitchell Media and TEDWomen told a powerful story of how she got to be where she is today—mainly, by overcoming adversity at every turn. “I believe our stories in one way or another are how we achieve,” she said. 3. Recognize that diverse leadership outperforms in the marketplace. “American enterprise must adopt diversity and inclusion (D&I) as a strategy for growth if they are to compete in the 21st Century,” writes Glenn Llopis in Forbes’ Is Diversity Good For Business? Companies that effectively tap into the potential of women leaders and leverage diversity at top levels have been shown to outperform those that ignore this imperative. First of all, women should recognize that they are outnumbered. As a result, they need to do more to collaborate and promote their work/accomplishments. 4. Never underestimate the power of solid networking. In the Building Connections for a Networked Future, Micaela Bulich of GE Renewables and Michelle Dilley of DSC Logistics discussed the value of building and leveraging connections in the supply chain of the future. They also talked about the key role that women leaders can play in that transformation. Encourage strong connections in the workforce and/or work to create them on your own. Ultimately, the power of a network is about people. In today’s tech-oriented work world, digital communications make networking easier than ever. 5. Let them know that it’s okay to admit that life is hard. For more on women in logistics, don’t miss this webcast: “Breaking Gender Roles to Win the War for Talent.” Moderated by Patrick Burnson, executive editor of Logistics Management, I was proud to share industry insights alongside AWESOME’s Executive Director Nancy Nix, Women in Logistic’s Director of Social Media Andrea Morriera and Women in Trucking Association’s President and CEO Ellen Voie. 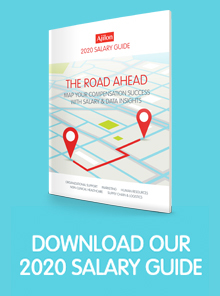 The webcast will be available at 2 pm EDT on Thursday, June 15, and will also highlight key findings of Logistics Management’s 2017 Supply Chain Salary Survey. And make sure to check out our latest white paper on women in logistics. Tisha Danehl, Vice President, Ajilon Tisha Danehl is a Vice President at Ajilon Professional Staffing, a leader in specialized staffing. 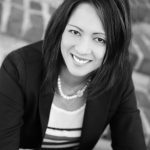 With close to 20 years of experience in the staffing and recruiting industry, Tisha has developed a passion for helping individuals continue to grow in their career. Focused on the supply chain and logistics industry, Tisha is responsible for driving revenue growth and partnering employers with pivotal talent. Tisha graduated from Kean University with a B.A. in Accounting.